Leah Alfieri is an actor, writer, and new graduate of Muhlenberg College. This is her first collaboration with Theater in Asylum. 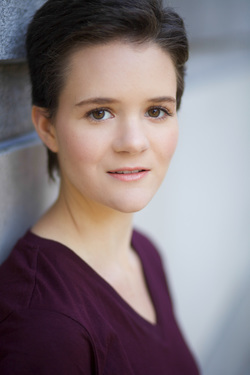 Currently, Leah can be seen performing in Spring's Awakening (Wendla) with AlphaNYC, and in Microchips with Roots&Branches Theater Co. Other recent credits include Dead Lunch, or Who Prays for Bad Weather? at the New York International Fringe Festival, and Romeo and Juliet (Mercutio) with the Muhlenberg Theater Association. Catch her this January as her original play, Old Maid, is produced in the Venus/Adonis Theater Festival!